Qinghai: Nangqen Xian. Zherebuma pass. Alpine meadow vegetation heavily grazed by yaks, with sparsely distributed shrubs of Salix sclerophylla and S. tibetica, Rhododendron nivale and Caragana. 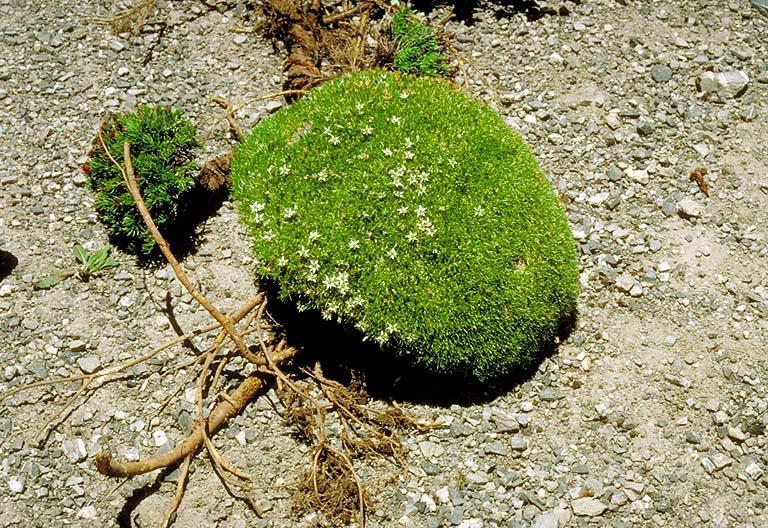 31°55'38"N, 96°27'35"E; 4500 m.
4800 m. Cushion plant from deep, massive taproot; flowers white.